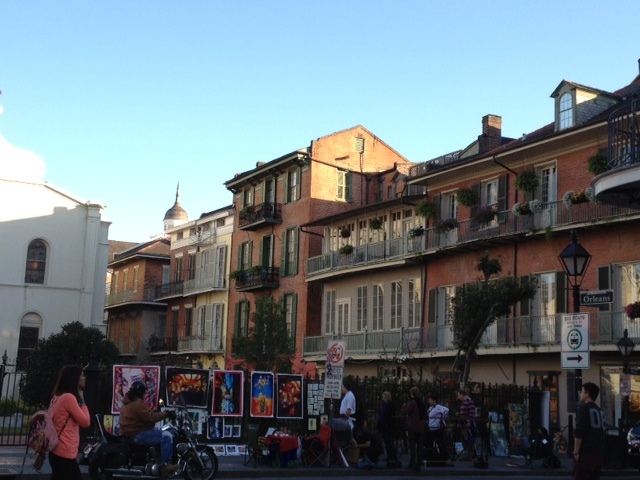 Although the thematic title of the 2013 Association of Arts Administration Educators conference in New Orleans was “One Step Ahead: Advancing New Paradigms,” my takeaway theme is “interconnectivity.” Both the invited speakers and my academic colleagues discussed the interconnectedness of elements within and without the arts and culture sector. Mario Garcia Durham, currently executive director of APAP, the Association of Performing Arts Presenters, discussed the importance of interconnectivity across subsectors as he relayed his experience as one of the founding curators of Yerba Buena Center for the Arts. He, a performing arts curator, shared an office with the visual arts curators, enabling crosspollination of both spirit and events. More globally, he discussed the connectivity between festivals and neighborhoods, citing the NEA study, “Live From Your Neighborhood” on the impact of arts festivals on communities. Garcia Durham pointed out that because the barriers to access to arts festivals are very low – if they exist at all – attendance at festival events tends to be more demographically representative of a neighborhood then would be, for example, attendance at an ballet company in the same neighborhood. Breakout sessions that I attended focused on using Local Arts Index data in the classroom, teaching research methods, my own session on arts entrepreneurship (based in part on material from the inaugural issue of Artivate), and a fascinating session on group creativity led by Monika Herzig in which she demonstrated the value of interconnectivity amongst collaborators by using jazz improvisation. The (inter)connectivity will continue as I bring some of what I learned back to my classroom in Tempe and to my own research. The New Orleans food was pretty darn good too – many thanks to our host institution, the University of New Orleans, and my colleague there, Harmon Greenblatt. Pingback: Around the horn: Pesach edition | Createquity. Thanks for the report, Linda! Liking Maria Rosario-Jackson’s concept of publics, not audience. Similarly, some of us have been thinking about building our conversation with ‘citizens’ and citizen-artists. Margy: thanks. My concern with “citizens” rhetorically, especially here where I live, is that we often work with communities or “publics” (i really like that term) that include non-citizens.